As the name suggests (tarbooj ke beej in Hindi), these are the seeds found in the watermelon fruit. They are low in calories and high in nutrients, and no, they are not poisonous. And they do offer great benefits. These are seeds present in sweet, pulpy and juicy watermelon fruit. They pack powerful nutrients in their tiny size specially vitamin B and essential amino acid. They are black, white or brown in colour. 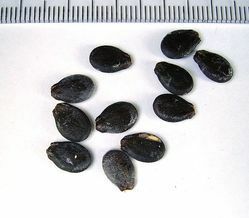 Black/brown seeds have harder shell. They are often discarded while eating fruit, but their most common use is as snack. an oblong shape fruit, dark black skin with deep red flash inside, very sweet in taste, fruit weight is 3-4 kgs, tolerant to disease and virus. good keeping quality. Leveraging on the skills of our professionals, we are engaged in offering utmost quality of Watermelon Seeds. We deliver these Watermelon Seeds to the clients on time with proper packaging. 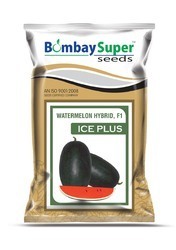 These Watermelon Seeds are tested at various levels as per the industrial quality norms and standards. - Replacement not applicable in bulk. - Transportation cost will be paid by buyer.